Shirts With Random Triangles: Stanford RB Christian McCaffrey Wins 2015 Paul Hornung Award. 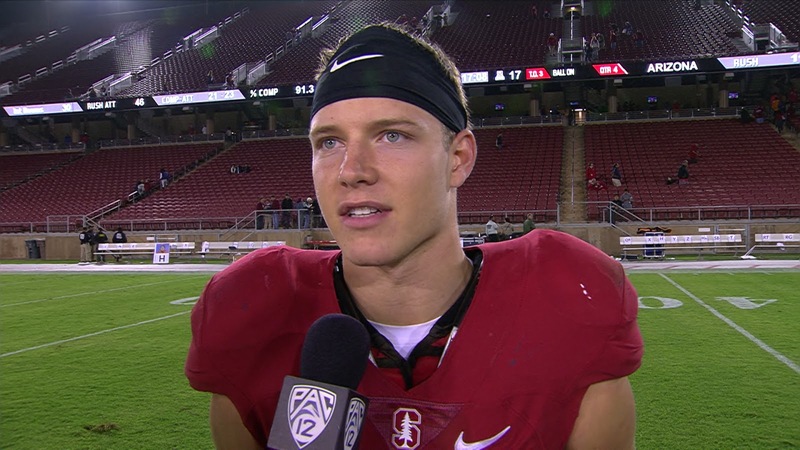 Stanford RB Christian McCaffrey Wins 2015 Paul Hornung Award. 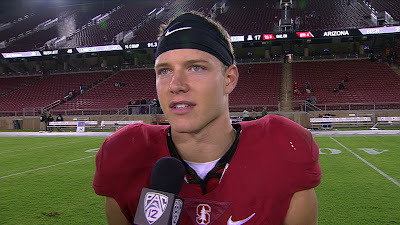 Christian McCaffrey. Image via pac-12.com. Stanford running back Christian McCaffrey will have at least one significant trophy to go on his mantle this week. The Heisman Trophy finalist was named Wednesday as the recipient of the 2015 Paul Hornung Award. The award is presented to the most-versatile player in the nation. In addition to being a RB, McCaffrey also served as a punt returner, wide receiver, and as a wildcat quarterback, among other roles during the season. McCaffrey will receive the award at the Paul Horning Awards Banquet, to be held in Louisville, Ky. on Feb 25, 2016. The Paul Hornung Award has been presented annually since 2010.